Open House at 64 Wagon Wheel Trail Meredith NH March 4th, 5th, 6th and 7th. Delightful Views across the Lake to Meredith Village. Sunset Skies, Quick Access to Many of the Best Amenities on Winnipesaukee, and Superior Construction! Visit this custom home and see why Drouin Custom Home Builders LLC of Gilford NH are so in demand. Contact Nicole watkins at 603-707-7575 for directions, details and to request and color brochure of this Meredith Winnipesaukee property. 64 Wagon Wheel Trail Listing Details. Search all Meredith NH real estate. 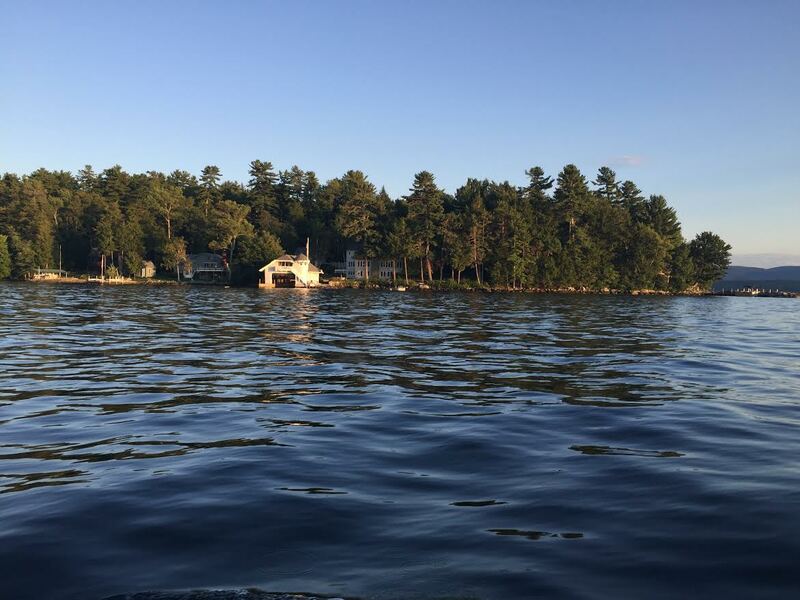 Both homes are ideal for those who want privacy and quiet locations on Winnipesaukee. Stop by my 2 Open Houses between visiting the NH Home Builders "Parade of Homes" houses. Homes on Cottage Road in Moultonborough as well as homes in Gilford, Laconia, will be featured in this 2014 Parade of Homes. Stop by at the following 2 homes when you are traveling between Moultonborough and Gilford. Visit 20 Senter Cove Road, Tuftonboro from 10:00-12:00 on Sunday 10/12/14. Built by Cargill Construction, with this premier builder's eye for elegance, this home is located near Bald Peak Colony Club. 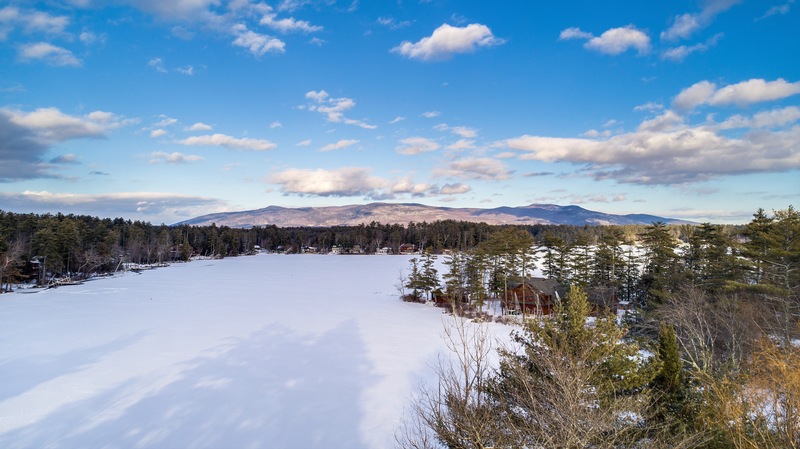 Picturesque views of Gem Island and Gunstock are all winning!! Visit 76 Veasey Shore Road, Meredith, NH from 11:00 to 2:00 Sunday 10/12/14. What are the elements of this magnificent Veasey Shore lake house? Many elements are borrowed from the "New Old House". Beautiful hickory floors combine with white wainscoting to create a sumptuous and "lakey" feeling. You'll feel like you are staying at a Bed and Breakfast and that your own vacation fairy has prepared a delightful retreat for you! "Yesterday's character for today's home" is how Russel Versaci describes the New Old house. The homeowner has created a home that has classic characteristics with proven appeal. Time honored New England cottage archtitecture, while including all of the modern comfort that the discerning Buyer has come to expect. The lantern style exterior lighting reflects beautifully in the ponds to create a "world apart" feeling that is relaxing! Shingle style homes were a freestyle mix of details. Sprawling floor plan that lends itself to relaxed summer living cottage is a conglomeration of different styles. Meredith and Center Harbor amenities are just a 10 minute drive from the house. Creating a new old house incoprporates the comforts of a modern home with the character elements of an old home. At 76 Veasey Shore Road Meredith, NH the Seller worked with Frank Demore, an Effingham, NH custom home builder to develop the character of her new old house, which was finished in 2006, but looks as if it might have been on its beautiful site on Lake Winnipesaukee forever. Visit the Open House 10/12/14 at 76 Veasey Shore Road. One of the pieces she used to add the finishing touches to the Master Bedroom of this Frank Demore built home, is an art nouveau mantel for the Master Suite's gas fireplace. The graceful and striking antique mantel comes from a raised mansion in Delaware. The hand painted and hand glazed Cerullian blue fish tiles on the mantel are juxtaposed to the mantels blonde oak wood. The fish theme is carried throughout the home, and includes, fish tiles in one of the bathrooms. In the Master Bedroom, a custom book case is built around the antique mantel to cover the entire wall with a gallery shelf at the top. The hearth is travertine marble and weighs about nine hundred pounds. Smarthouse" technology which has a total alarm system including freeze alert and security alert! Visit this Virtual Tour of 76 Veasey for a preview! You're also invited to view all My Firm's Listings. NEW Listing. 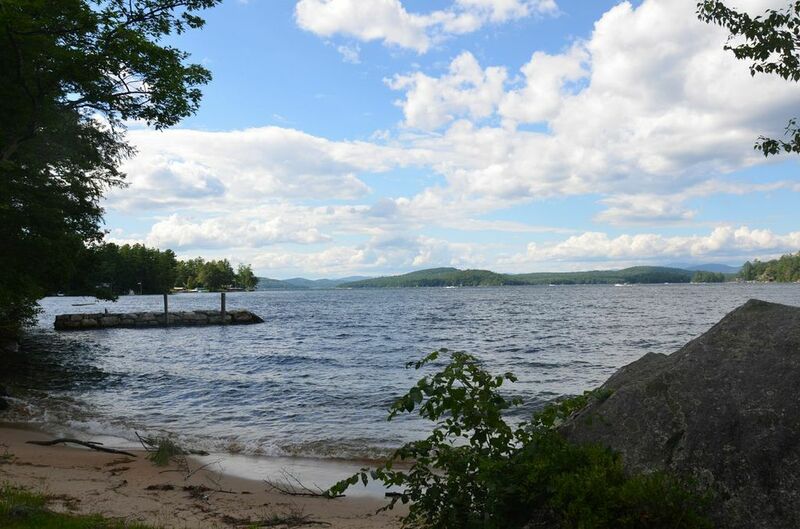 Winnipesaukee Parcel with a Great Location Near Amenities & Features Including a Sandy Beach. 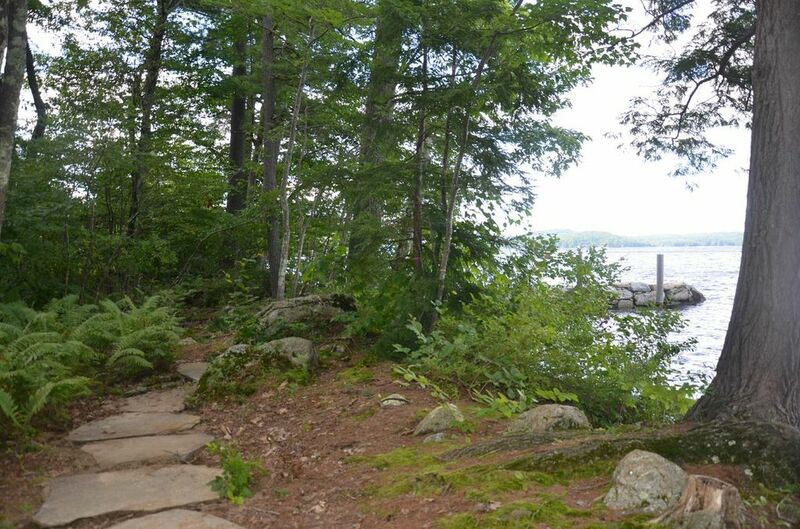 Lake Winnipesaukee Parcel with natural sandy beach waterfront. 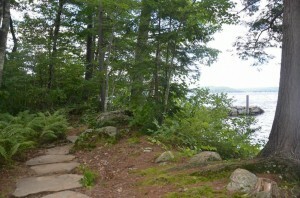 2 Plus Acre Waterfront Parcel has 216 Feet on Winnipesaukee and a 1/3 Mile Long Driveway. 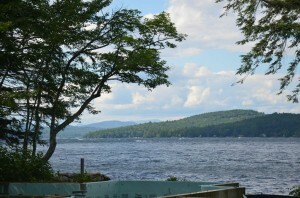 Laconia NH - Natural sand beach frontage on Winnipesaukee and long lake and mountain views define this lakefront gem. A stone walkway leads to the breakwater already in in place along the sparkling, crystal clear waterfront. A stone walkway leads you on a path to your breakwater. Winnipesaukee at its best! 216 ft. of waterfront and 2 lots or record are included in this offering. The foundation is designed for a 5500 square foot custom home and a building permit is in place. This is only the second time this property has been available on 100 years. Located only 10-15 minutes from Gilford, Meredith, and Laconia amenities, this is an ideal location for a year round or summer residence! 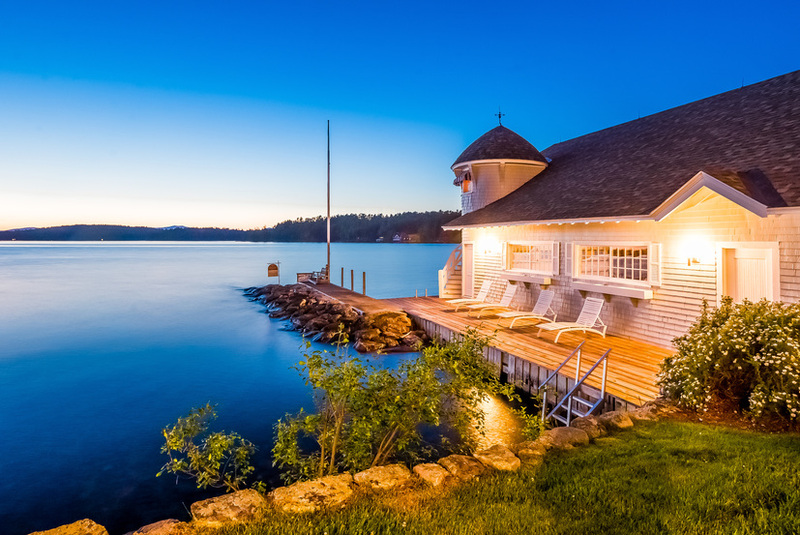 Build your Dream Home on Winnipesaukee. Ask for the Plans Designed for this Parcel. The building permit is in place and house plans are available. Bring your own custom home builder or ask for referrals of Lake Winnipesaukee home builders. This is a great time of year to start thinking about building the new construction you've always wanted. Custom home plans designed for a home to be built on this foundation are available upon request. Contact me for details on this Wentworth Cove, Laconia property. Or search MLS , all Winnipesaukee real estate, or new construction to compare this listing to others available on Lake Winnipesaukee. Other new construction on level WInnipesaukee waterfront parcels include 25 Cook's Point in Moultonborough or 183 Wentworth Cove, Laconia, NH. Feel free to also ask me for a summary of the recent sold properties on Winnipesaukee, Squam, or in any of the surrounding towns. 291 Long Point Road - NEW Virtual Tours for 2014. Located in bay where more than a dozen loons gather for their synchronized water ballet before leaving for the winter. A location near the end of a peninsula. Level parcel with lakeside lawn. Bordered by tall pine trees. A perched beach is a perfect spot to enjoy privacy, sun, and the great lake views and crystal clear waterfront. 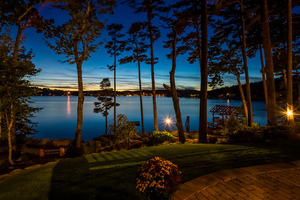 If you do want some of the best views offered by a Lake Winnipesaukee home for sale........ have you seen this home? Selective limbing of trees has recently opened the panoramic lake and mountain views that rival any views on Winnipesaukee. Waterfront Landscape is a Magical Combination. 291 Long Point's landscape is perfect for entertaining all ages. The yard is level with a lawn and gardens around the house. The perched beach, already on this level lot, allows gentle access to the crystal clear sandy waterfront. View the Summer Video and Winter Virtual Tour. Call Nicole to request current permits and Site Assessment Study). 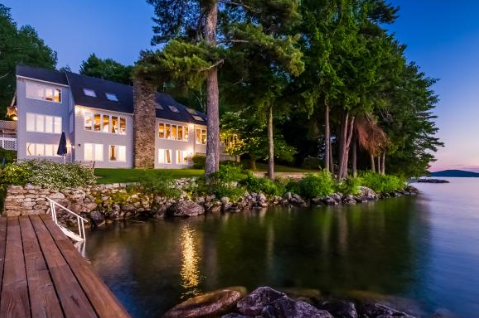 With 1 acre directly on Lake Winnipesaukee and 200 feet of prime waterfront bordered by tall pines, this Moultonborough waterfront property has privacy that is extremely hard to find. Don't take my word for it, see for yourself. Call to make appointment. Call Nicole Watkins, Exclusive Listing Agent. (603) 707-7575. If you want to view the property in different seasons, View the Winter 2014 virtual tour with winter only photos of 291 Long Point Road. 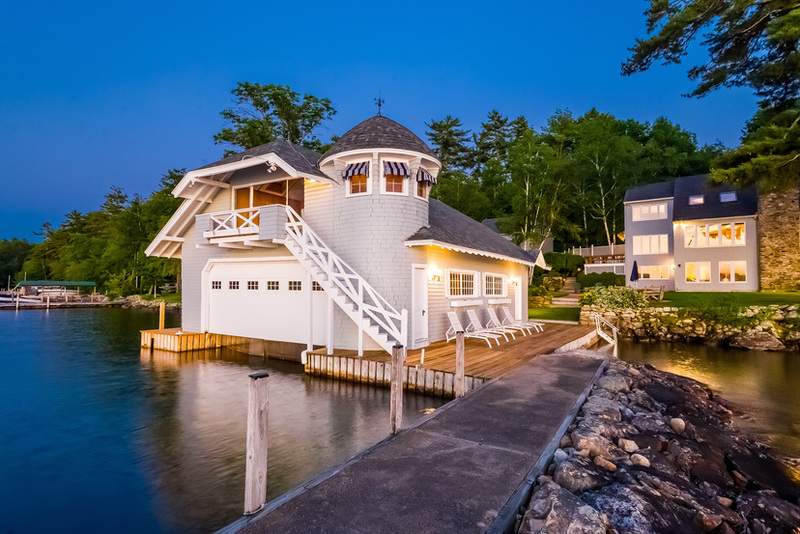 Compare the summer video of this Moultonborough waterfront home. 291 Long Point's 3 season sun room and lakeside lawn on this Moultonborough waterfront property are among the great spots to play, exercise, recreate, live, and and enjoy the remarkable lake and mountain views in any season. Enjoy the open concept living room/dining room with sliders that open to the lakeside lawn. The kitchen also has sliders to the lakeside deck and a few steps from the perched beach. Also on the entry level of 291 Long Point, is a foyer with a powder room, and laundry room/'mud room" leading to the attached garage. The home's entry level also features a first floor master suite with a full bath and great lake views. 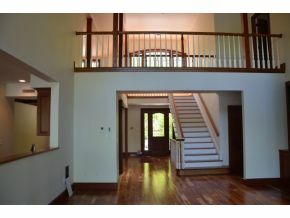 The upper level has 2 rooms, which could be used as additional bedrooms, artist studio, or media room/library. Whether you want to renovate a home, build your dream home, or use the property as is with only a few personal touches, 291 Long Point should be on your list to consider. Even the Friendly Neighborhood is Inviting. Close to Moultonborough and Center-Harbor Amenities. The many quiet roads leading to 291 Long Point are great for long walks. Near many popular walking roads for many of the neighbors and their dogs, why not meet many of your neighbors in the Kona and Hauser Estates' neighborhoods who are often out walking? Other amenities include proximity to The Galaxy Gym, Fitness Edge, and the town tennis courts. Additionally, many trails including the Canter-Harbor Woods, Red Hill, and Page Pond Conservation Land are within a ten minute drive. Senters Market has several shops. Popular restaurants such as Lemon Grass, Lavinias, The Bob House, and Canoe are also ten minutes away from 291 Long Point Road. The town of Center-Harbor library and post office, and the biking trails on Moultonborough Neck Road are also among nearby amenities. It is worth noting that the current home has a 2 bedroom septic currently, but the Site Assessment Study states that the lot could potentially support a 5 bedroom system. Call Nicole Watkins, Exclusive Listing Agent, to request details, color brochure, or to set up showing. (603) 707-7575. *(Please note that a U-shaped dock would be subject to State of NH and Town of Moultonborough permits. Email me at Nicole@NicoleWatkins.com if you would like information on regulations that would apply to a U-shaped dock permit for this property). Call for Details on the Current Permits or to Request House Plans Available for the Home by Premier Builder. View the listing details for 291 Long Point. Call Nicole Watkins to ask about the current permits in place for this property. 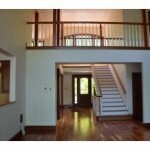 House Plans by Cote Builders are also now available for this property to qualified buyers who have seen this property. 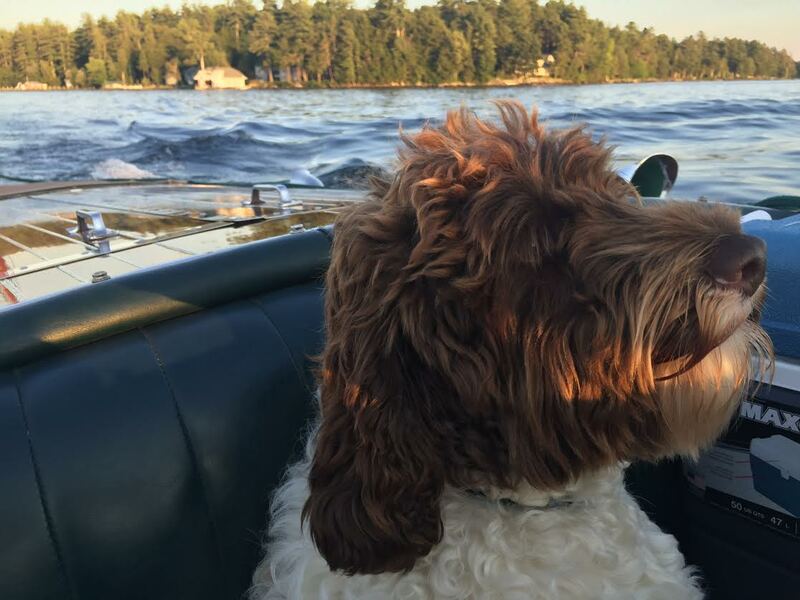 Also feel free to browse all Winnipesaukee real estate, just listed Winnipesaukee real estate, or save your custom Lakes Region real estate search to see price changes and property updates of your favorite Lakes Region NH real estate. You can also search by New Hampshire Lakes Region lake or by New Hampshire Lakes Region town. Swanky-Casual Condominium on Winnipesaukee Awaits Your Footsteps! Swanky-Casual is the style of this Winnipesaukee Moultonborough home with luscious textures, colors, and decor throughout all rooms. The woven, plank wall-to-wall carpeting is a soft copper that is rich, earthy and fun all at once. The tile bath with a whimsical, fresh-water blue-pearl wingback chair, and the Master Suite closet has frosted French Doors. If this condominium were a shoe it would be a seafoam blue beaded Jimmy Choo flip flop with inlaid pearls from the ocean floor on the shores of Bali......yet worn on the bridged islands of Winnipesaukee. This beautiful waterfront home has been newly renovated. Impeccably designed and maintained, it awaits your footsteps! Near "the Broads" on Winnipesaukee. Deep Water Dock for a 30 ft. Boat! 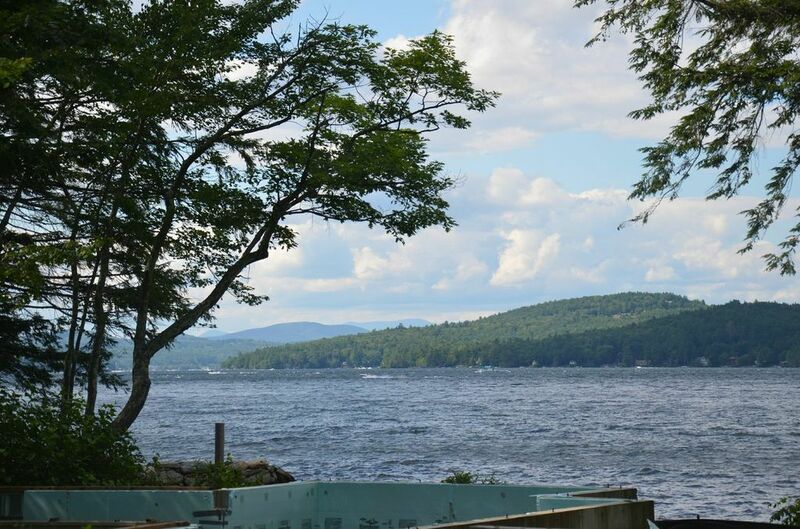 The large sand beach, deeded 30 ft deep water dock and central location near "the broads" on Winnipesaukee all make this Moultonborough Winnipesaukee condominium highly desirable. This quiet association has only 20 units on 53 acres. 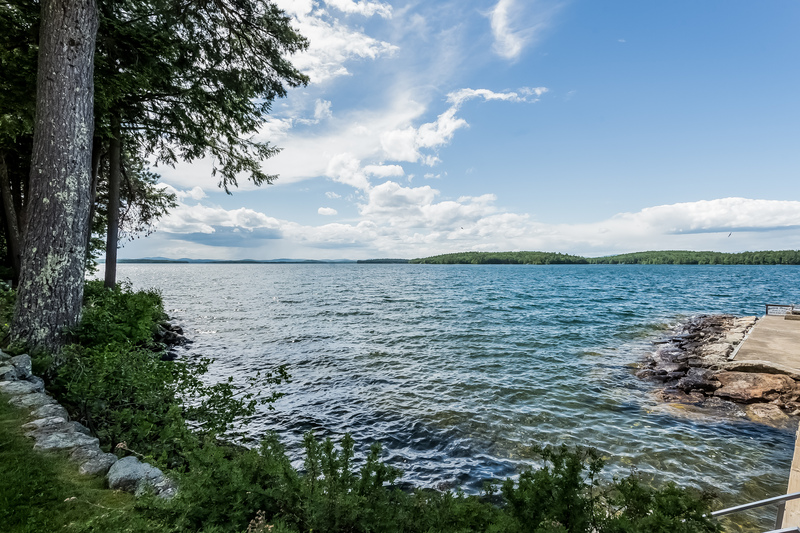 The Moultonborough location means that this condo is in the Winnipesaukee-shored town with the lowest tax rate. Elegant Interior was furnished partly by Center-Harbor's "Home Comfort"
The elegant interior of the home has panoramic lake and mountain views. The large 3 season porch overlooking the lake is one of many areas ideal for entertaining or quietly enjoying fabulous lake and mountain views. The exquisite interior of this Moultonborough condominium includes a fireplace in sunken living room, 3 bedrooms, 2 and 1/2 baths, lovely entry hall, living room and dining room. Central Air, Large Master Suite with private deck, large, tile walk-in shower. Everything has been done to perfection. 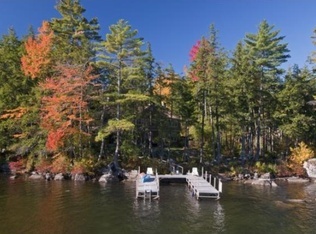 Direct waterfront on Winnipesaukee. 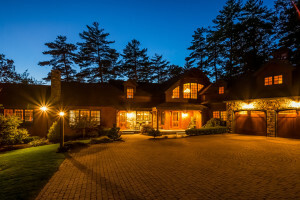 Call Nicole to tour 7A Windermere Road, Moultonborough. 183 Wentworth Cove. A Luxury Winnipesaukee New Construction Home Now Offered with a Second Lot of Record or at a Reduced Price. Recurring Open Houses Sundays July 2:00-4:00 PM. 183 Wentworth Cove is now available with the primary lot on which the new construction home is sited and a second waterfront lot of record. Both lots are sited at the point of Wentworth Cove to capture views of the lake, mountains, and cross breezes on the sparkling water. The second lot has 100 ft. of waterfront and a dock permit. 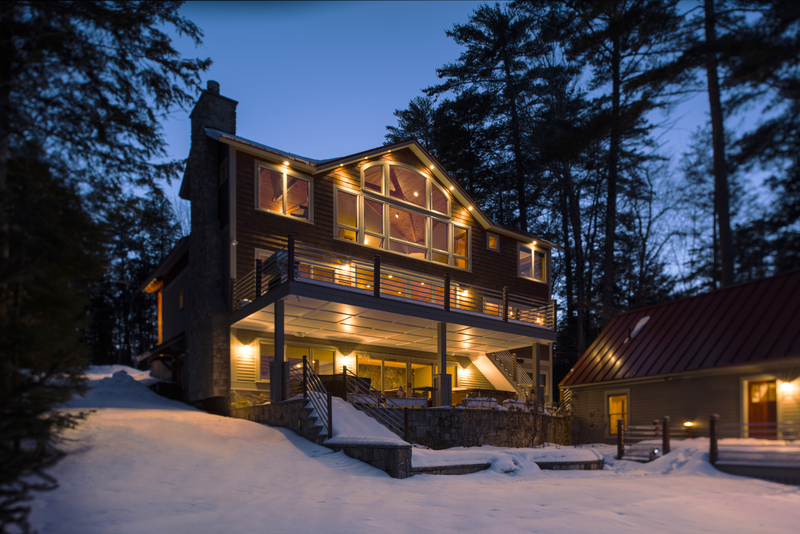 This luxury Winnipesaukee new construction home was built by Gary Cartier . Chef's kitchen, dining area, and living has views from Wentworth Cove and Westerly from the point of Wentworth Cove across Winnipesaukee. Amenites include state of the art radiant in-floor heat, 5 en suite bedrooms, and much more. 183 Wentworth Cove can also be purchased without the second lot of record for only $1,950,000. Open Houses July 6th & 7th. Follow Route 3 to Summit Avenue to left on Wentowrth Cove to the end of the road.